Whether they’ve been naughty or nice, you’ll want to ensure there’s a gift or two for your furry best friend under tree this Christmas. From high-end collars to super snuggly fleece blankets, we round up our favourite Christmas gifts your dog will love this festive season. Two gifts for the price of one, this reusable, glass treat jar arrives filled to the brim with Bonios. 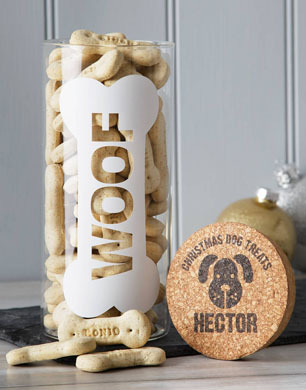 The jar’s cork top can be personalised with your dog’s name to ensure human hands stay out of their canine cookie jar. If you and your dog have a taste for the finer things in life, this elegant collar from luxury pet label Moshiqa will be your kind of treat. 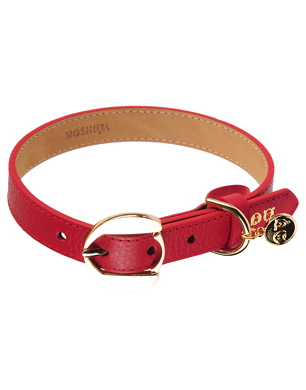 Constructed in beautiful and super soft nappa leather, luxury gold hardware and the brand’s signature tag, we’ll take this collar to go please. 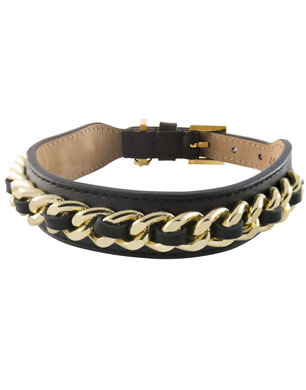 For the little dog who likes to pack a style punch, this luxury dog collar ticks all the high-end fashion boxes. Fashioned with soft nappa leather and embellished with a gold chain, your pup will have the fanciest accessory at this years NYE party. Their face will light up and their mouth drool when they sniff their way around this goodie box of Christmas delights. 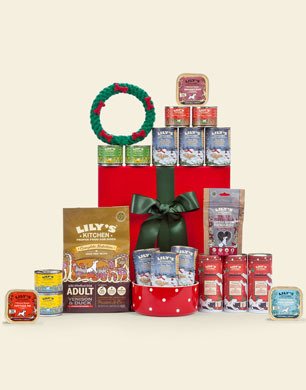 This gift set features Lily’s Kitchen’s fine organic dog meals and treats, as well as a bowl and fun rope toy. Cool pet ID tags are hard to come by but we absolutely love this sweet gold lovelock charm that locks and unlocks, so you can switch it to other collars in your dog’s collection. 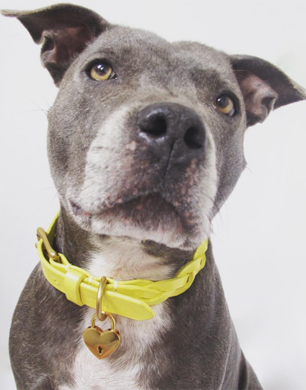 The tag can also be personalised with your dog’s name on the front and ID info on the back. For the dog who’s been good all year long, spoil them with this luxurious lead which takes the rope lead trend to the next level. 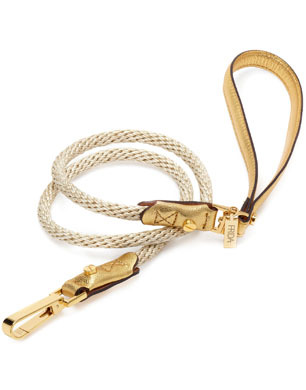 Hand crafted in Italy, it’s designed with premium quality rope, a gold leather handle and lashings of luxury details. Inject a little fun to your pooch’s Christmas attire with this playful kissing emoji sweater. 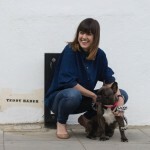 Designed by international blogger superstar, The Blonde Salad for canine cashmere brand Ruby Rufus, post your pup wearing it to Insta and they’ll be #trending by the Queen’s speech. 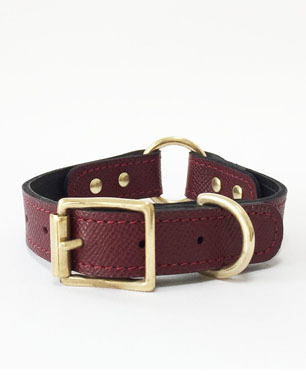 This textured quality leather collar with sturdy brass hardware is a steal from £30 and gives a stylish nod to the festive season without the Christmas kitsch. It’s limited edition so get it while it’s hot. Ball-obsessed pups will L.O.V.E. 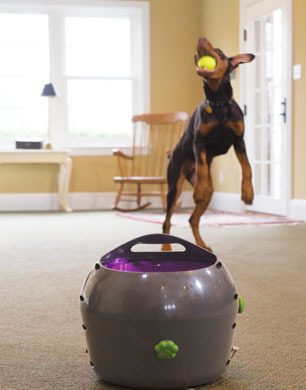 this automatic ball launch, which provides hours of ball chasing fun. Suitable for indoor and outdoor use, it has 9 distance settings and 6 angle settings. Set to play, so you can enjoy the Christmas specials and work your way through a tin of your favourite treats in peace. 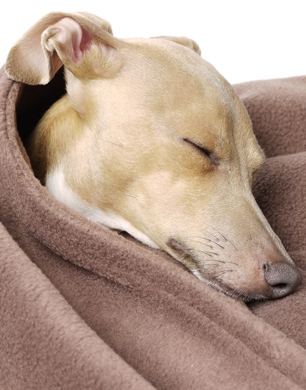 Wrap your furry friend up in love and warmth with a super-soft double layer fleece blanket, shown in mocha and available in a choice of seven colours to suit any interior. Whether you lay it on their favourite spot on the sofa, bundle up in their bed or line the back seat of the car, your dog will love curling up for a snooze in comfort.